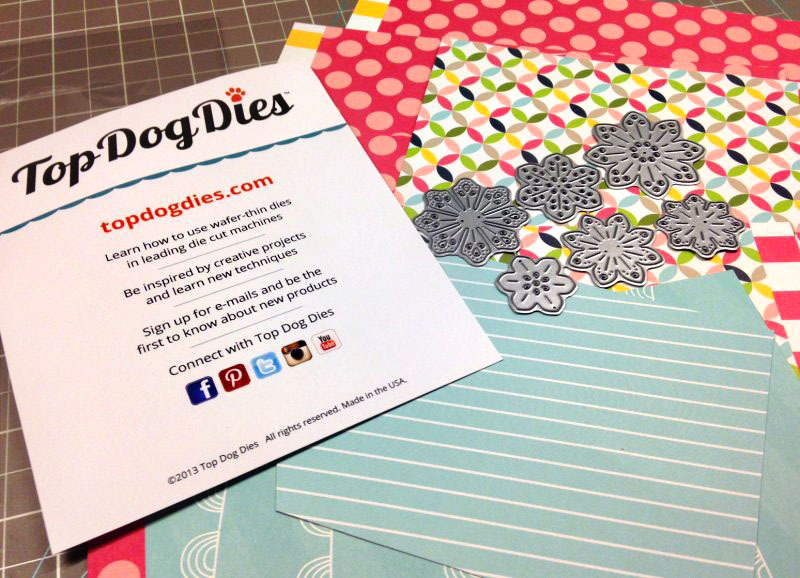 michellephilippi.com» Blog Archive » Creating with Top Dog Dies. Creating with Top Dog Dies. Posted by Michelle on June 9th, 2014 . Filed under: Imaginisce, Spring . 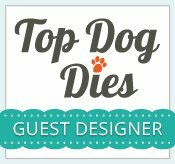 Top Dog Dies is a new online store that offers their own brand of wafer-thin and steel-rule dies, along with dies from brands you already know and trust, including Lawn Fawn, Taylored Expressions, and more. 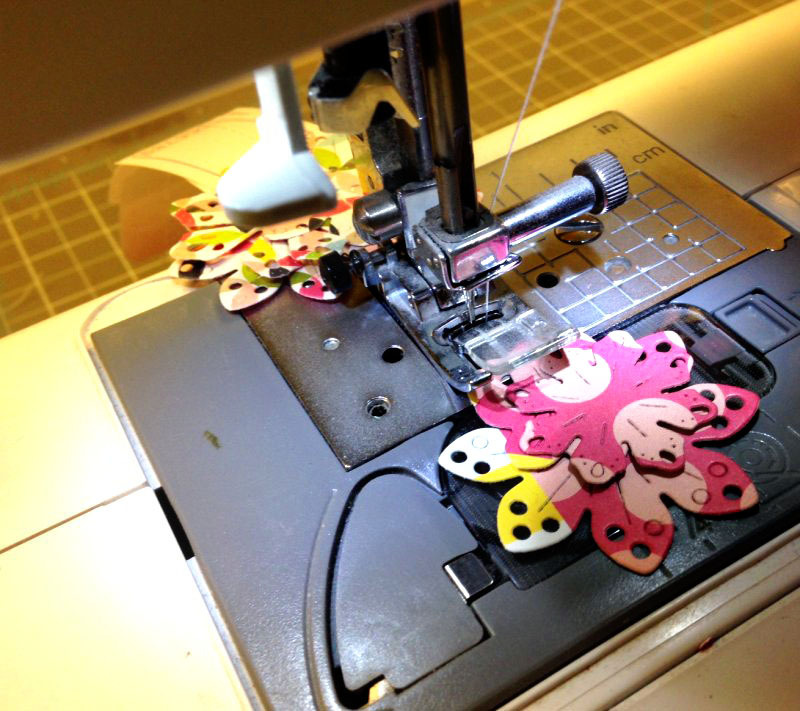 Top Dog Dies is also the leading U.S. retailer for Tattered Lace, a new line of intricate dies designed by British designer Stephanie Weightman. 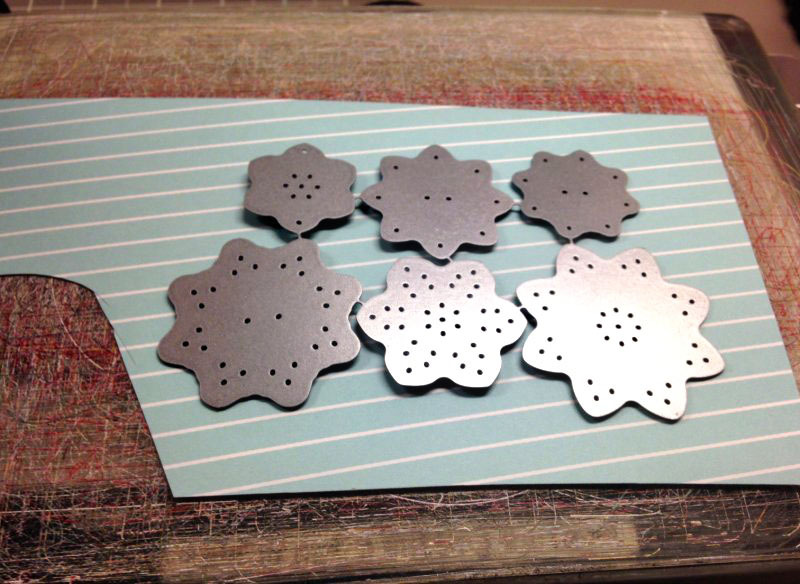 They also are doing a giveaway this month, and you can win $50 worth of exclusive dies from Top Dog Dies (your choice!). 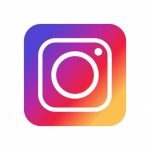 Head over HERE to get in on the giveaway action. 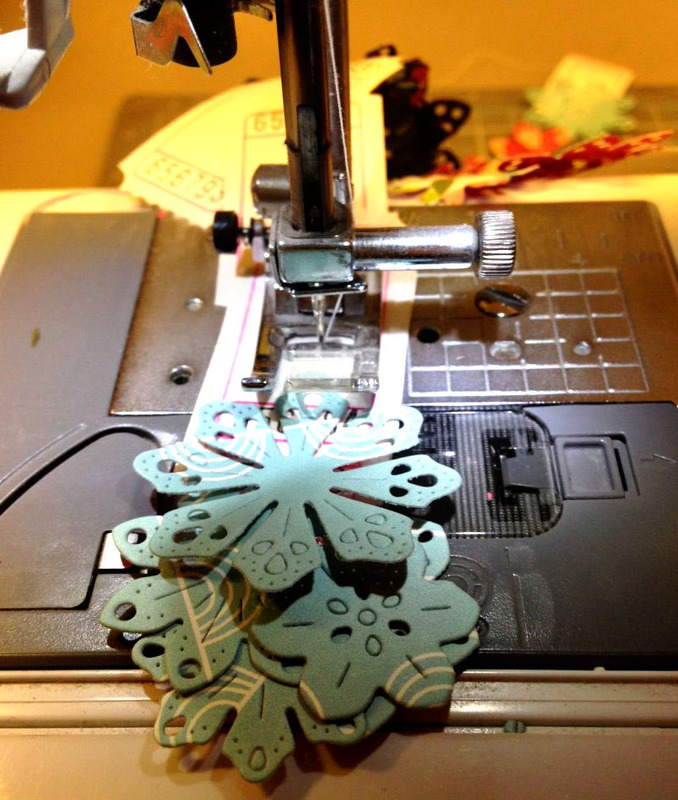 I created 2 projects with Top Dog Dies this month – the first one is up on their blog today. And the second one is a super fun, super easy, super cheap, super quick banner that I wanted to try my hand at. 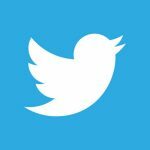 I saw Margie Romney-Aslett on a craft demo years ago and she was just running little pieces through the sewing machine and voila, there was her banner. I’ve been wanting to try it but didn’t think it would be that easy. But it was. Totes. Like embarrassingly easy. 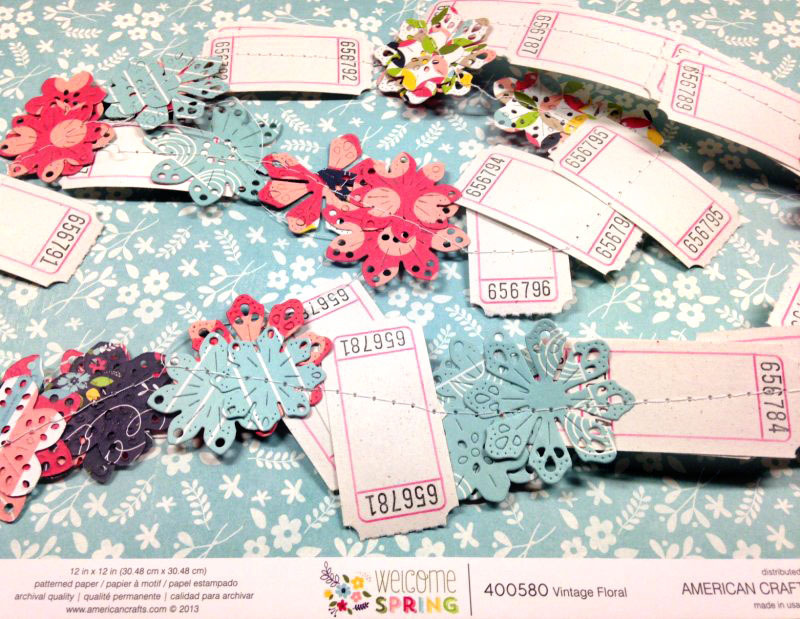 I worked with Top Dog’s new Pretty Petals Die set, and then I took some paper scraps that I had from Imaginisce’s Welcome Spring collection, big enough to set the entire die one for one crank through the Big Shot. Set ’em on, and ran them through. 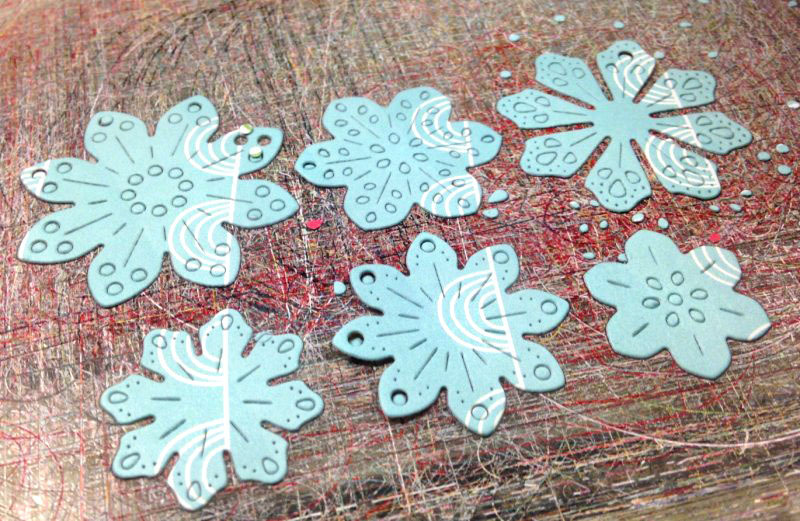 I love that they came out on their own and that I didn’t have to pry them out like often happens with other dies. 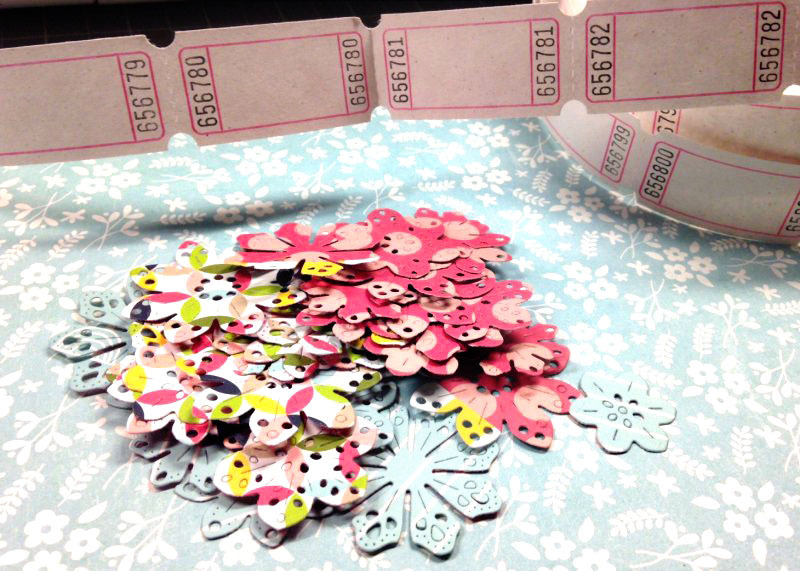 A pretty die cut flower pile, and some coordinating tickets. And I just fed them through the sewing machine. 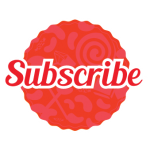 And this adorable little banner was made in minutes. Hanging on our new freshly-painted yellow walls. 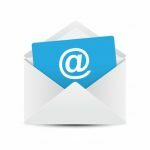 1 Response to Creating with Top Dog Dies.